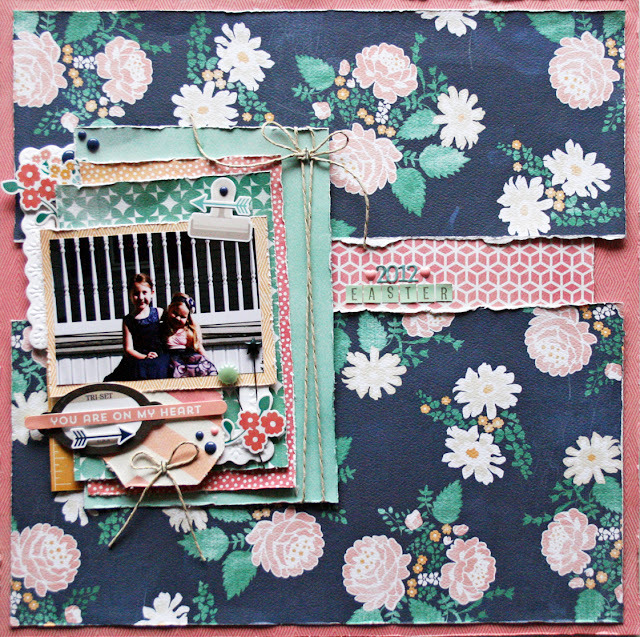 Random Sweetness: Page Maps & Carta Bella Layout!! Hi everyone!! I'm getting prepared for this big weather store that is supposed to hit us this weekend! Gotta make sure we have the bread and milk, right? It seems you can never find those at the store when bad weather is rolling in! lol. I'm hoping it holds off and doesn't get as bad as they are saying, the hubby and I were actually going to have a date weekend! I am so excited to finally share that I had an amazing opportunity to work on a layout for Kaitlin Shaeffer with her awesome Hello Again collection, for the December PageMaps update. I loved the sketch, and had so much fun with this one! Make sure you head over to the PageMaps site and check out all the fabulous sketches/inspiration for this month. Also enter on the blog for your chance to win the Wildflower collection! Thanks for dropping in, and take time to create something you love!